I really did. 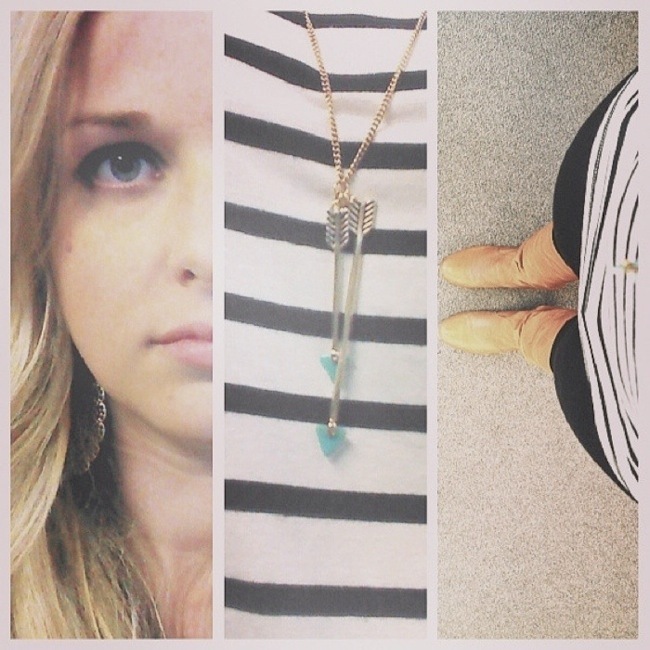 I made this bet with myself that I couldn't wear stripes all week. And one thing I've learned about myself is that when I challenge myself - then it is ON. Like Donkey Kong. So I did it, I wore stripes to work every day last week *high fives self with other hand* And then to really show myself up, I packed mostly stripes to wear out here in South Haven, too. It should be said that I have a lot of striped shirts, so no dirty birds over here, just in case you were wondering.